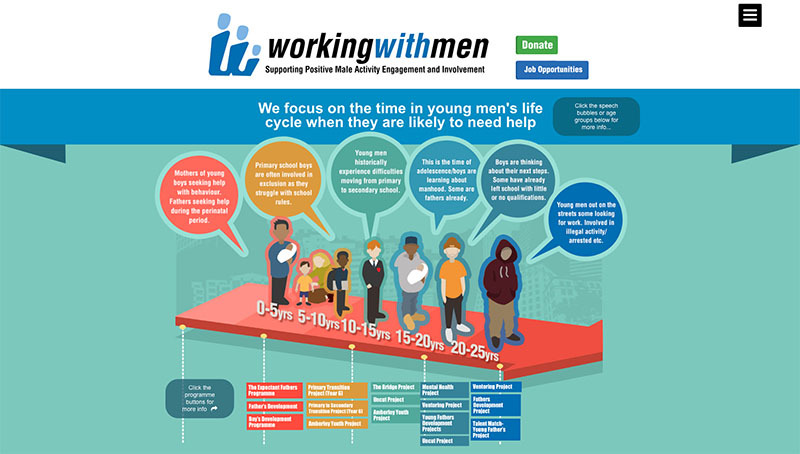 Responsive website design and development for the Working with men organisation. The goal was to make it very clear from a glance the work that the organisation does from glance. We promoted the use of an interactive infographic to make to achieve our goal. 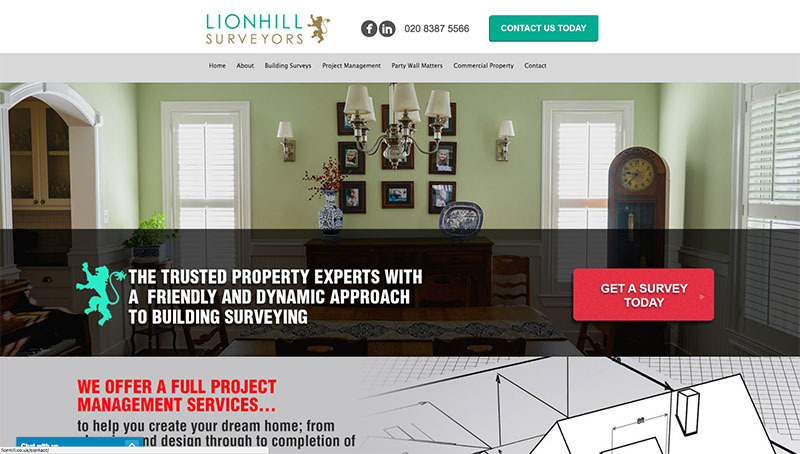 Lionhill Surveyors is an established, professional and trusted company that lacked the professional looking and functioning website that would do the company justice. 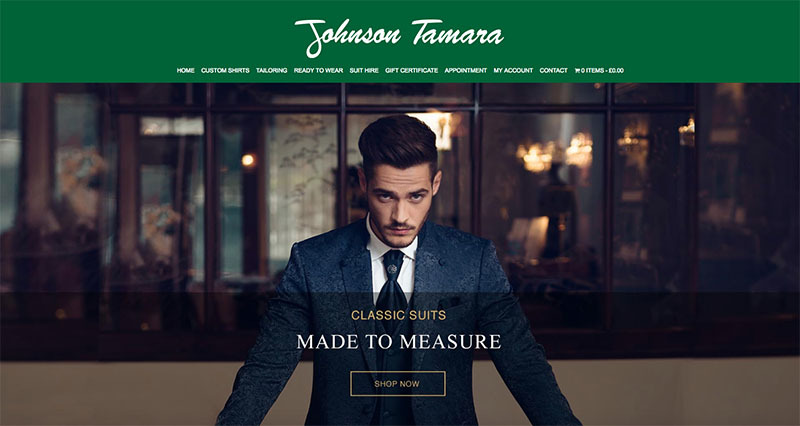 Johnson Tamara is a well established high street tailors. Our aim was to create a high-end e-commerce online presence that would mirror their quality of service and products. 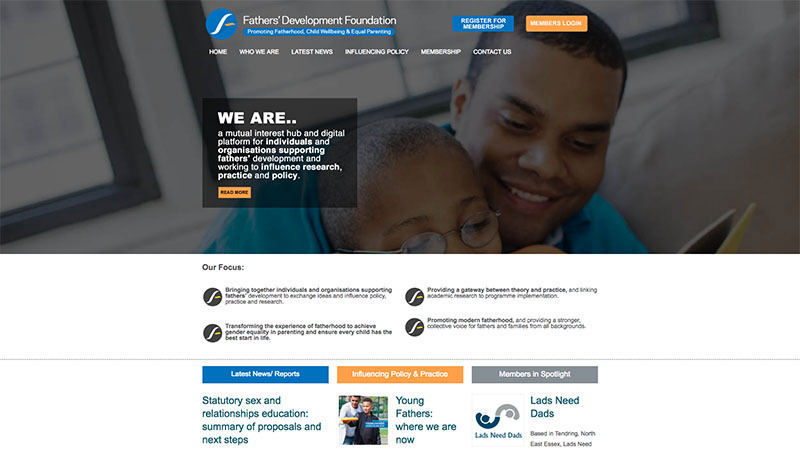 The Fathers’ Development Foundation is a mutual interest hub and digital platform for individuals and organisations supporting fathers’ development and working to influence policy, practice and research. To help bring all these organisations together we created a members platform where founder members could network, interact and share ideas.